Though it might not cross your mind, you need good balance to do just about everything, including walking, getting out of a chair, and leaning over to tie your shoes. 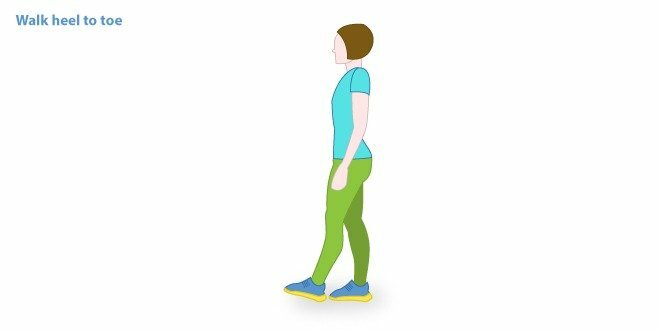 Here are some balance exercises for people with diabetes to help keep you steady on your feet. If you search the internet for “clumsy people falling down,” there will be no shortage of videos guaranteeing a big laugh. However, as we get older falling down is no laughing matter. Falling is one of the most serious medical problems facing older people. People with diabetes have a 17-times greater risk of having a fall and getting injured from that fall. Older people often have poor balance due to loss of muscle strength and joint flexibility, as well as reduced vision and reaction time. As well, as we age, our ability to know where we are in space (called proprioception) gets worse, which contributes to a decline in balance. This largely unconscious capacity is what allows us, for example, to walk in the dark without losing our balance. 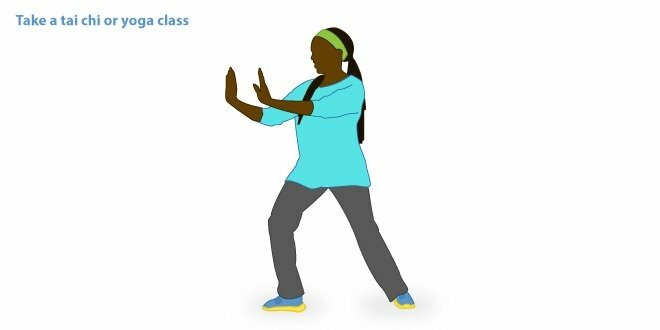 Balance exercise can help improve the body’s ability to control and maintain position. And this can help prevent falls. Decreasing the risk of falls is not the only benefit of balance exercise. 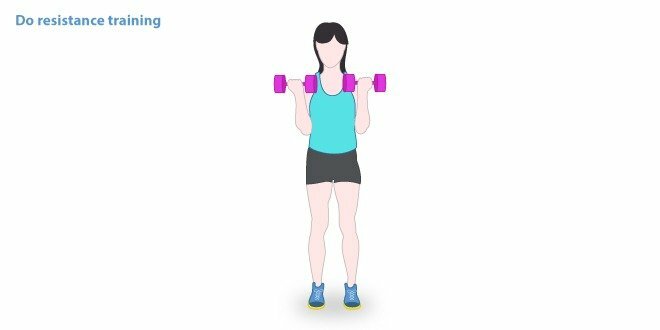 This type of exercise can benefit people who have gained or lost a lot of weight or those who become pregnant, which can throw off your center of gravity. There can be improvements in posture, which can lessen back and joint pain. Increased mobility, fewer injuries and a greater capacity to push yourself during workouts are among other benefits. Some people are so fearful of losing balance they limit their activities and might not even leave the house. Improved balance can increase confidence, which can lead to increased opportunities and better quality of life. 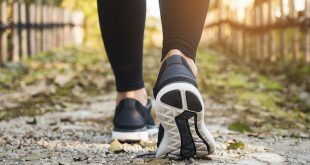 The American Diabetes Association recommends that adults with diabetes who are 50 years of age or older should do balance exercises, especially if they have peripheral neuropathy. Balance exercises may help improve any loss of stability by counteracting the loss of feeling in your feet. Unlike other forms of exercise, there’s no limit to how much balance training you can do safely – you can do it every day if you want to. Ironically, the main risk of doing balance exercises is that you might fall. Make sure you have something close to you that you can hold on to if you start to feel unsteady. 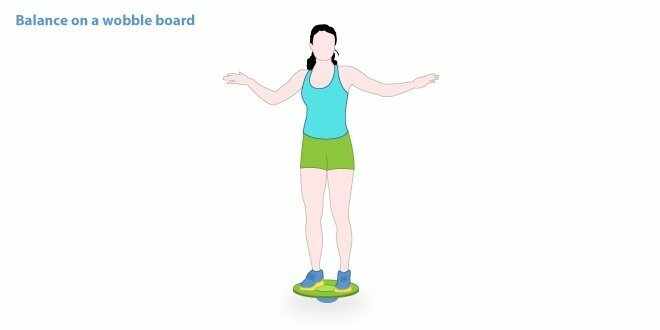 If you use equipment such as a wobble board, make sure you are on a flat, stable and non-slippery surface. It is essential that you wear proper shoes and do not exercise if you have active foot ulcers. If you have neuropathy, speak with your healthcare team before you begin an exercise program. 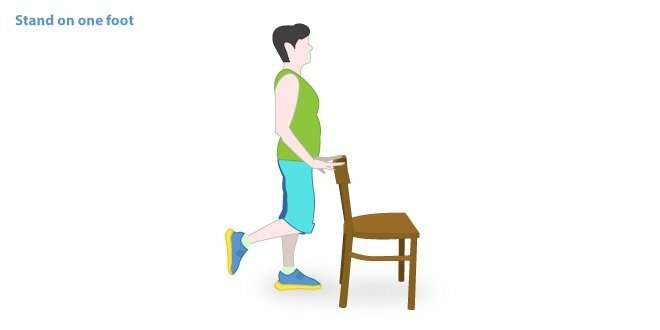 Stand on one foot behind a sturdy chair, gripping for balance if necessary. Do this several times each day. To increase the challenge, do it with your eyes closed. Place the heel of one foot just in front of the toes of the opposite foot each time you take a step. Select a spot ahead of you, focusing on it to keep you steady as you walk. Both these activities can improve balance. Many of the exercises that we do for our core or lower body will also improve balance. This training tool is designed to challenge your stability. To maintain balance, you need to use a variety of muscles that you wouldn’t normally use if you were just standing on a flat surface. If you have chronic joint or leg pain, you don’t have to stop exercising altogether. Read this article to learn about the benefits of exercise with joint pain or leg pain. 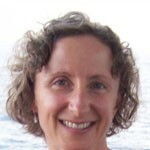 Christie Hamilton is a Registered Dietitian and Certified Diabetes Educator with more than 20 years of experience. She works at the Leadership Sinai Centre for Diabetes in Toronto where she helps people with type 1 & type 2 diabetes, as well as diabetes in pregnancy. Christie is a co-author of two diabetes self-learning manuals for the Canadian Diabetes Association, including a chapter about endurance training and type 1 diabetes. She has worked at several fitness centres as a personal trainer and fitness instructor, providing support and encouragement for participants. Christie has a passion for food and exercise and loves to share strategies to help others incorporate these into a healthy lifestyle. When you have diabetes, low-impact exercise is one of the best forms of physical activity to keep your blood sugar levels under control. 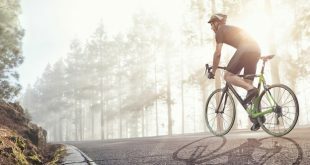 Here’s a look at some of the benefits of low-impact exercise for diabetes.